Hi Fi Writer - Copy protecting CDs? Back in the early 80s when the design of the compact disc was being finalised, the issue of copyright protection was not entirely overlooked. Audio CDs do indeed have a digital copyright flag. Unfortunately for the owners of CD content, this doesn't actually do anything. It merely makes a statement. Since then the copying of music has come to be of great concern to the copyright holders of music, primarily record companies. This is due to computers, of course. What used to be an arcane art -- extracting the digital audio from a CD and creating a new CD therefrom -- is now easy ... and fast. A computer with separate CD-ROM and CD-R/RW drives can do the job in around five minutes. It is also cheap, with blank CD-Rs available for well under a dollar. Whereas illicit CD presses in third world countries used to cause corporate hearts to flutter, now it is ad hoc copying by first world computer users. The response has been attempts to copy protect CDs. This is hard. Such a CD must be playable in virtually all existing CD players, yet not be able to be copied in a computer. But the CD format was not designed for this (unlike DVDs and SACDs, which incorporated digital protections from the outset). Record companies having been fiddling with CD copy protection for a year or so overseas. The first copy protected CD has now appeared in the record shops of Australia. 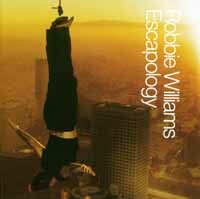 Robbie Williams' CD Escapology is an EMI Music release. This is protected presumably with an eye towards protecting its investment (Williams has been contracted for four albums for a sum variously reported as between $US40 million and $US140 million). Yet, as we shall discover, regardless of however much they are paying Williams, the record company is wasting the money it has spent on CD copy protection. There are two powerful reasons why copy protection cannot work. The first is that CD copy protection can, at most, limit computer 'ripping' of the digital audio. It in no way restricts traditional copying techniques. Second, it is impossible to implement a strong form of CD copy protection anyway, thanks to the contradictions between the need to play in some devices but not others. No, I'm not talking theory here. The day after Escapology was released, I bought a copy at the Sydney Airport record shop. An hour later, having twenty minutes to kill while waiting for a meeting, I ripped a track from the CD onto my elderly notebook computer. That evening, back at home, I ripped the whole CD. I checked the integrity of the data, which proved to be perfect, and burned a CD: my very own pirate copy of Robbie Williams' Escapology! I hasten to add that after successfully playing this pirate version through, I wiped the audio files from my computer and physically destroyed the burnt CD. Hey, to be honest, I wouldn't normally buy a Williams' CD at all. He's not really my cup of tea, and I certainly don't need two copies! What follows is intended as a discussion about the issue of CD copy protection, not an encouragement to use any of the information therein to break copyright. Remember, it is illegal to copy CDs in Australia without permission of the copyright holder, regardless of whether this is for personal use, conversion to MP3 for uploading to a file sharing system, or whatever. Note, this also applies to making an analogue copy on audio cassette. Have you ever down-loaded an MP3 music file from the Internet? If so, what did you think of the sound quality? Those I've heard range from excellent (check out some of the sample tracks from the audiophile label Telarc) to terrible (every second track from a peer-to-peer file sharing system). Those that are terrible are normally due to lousy MP3 encoding or unreliable 'ripping'. Ripping is the process whereby digital audio is extracted from an audio CD onto a computer, as a perfect digital copy. CD copy protection systems work by interfering with the ability of a CD-ROM drive in a computer to read the protected CD, thereby making it difficult to copy. They do this by intentionally encoding some errors into the data areas of the CD, particularly one of the two copies of its table of contents. There is some suggestion that this could reduce the longevity of a CD since the second table of contents is intended as a backup for the first one, should it be damaged. In any case, what happens is that CD-ROM drives generally detect errors in a CD's table of contents upon insertion of the disc, whereas regular CD players don't. Remember, CD-ROM drives must ensure a perfect read. One single bit of data mis-read on a CD-ROM could crash a computer. So a regular CD player just happily plays away, whereas a CD-ROM drive decides that the disc is broken and should not run. Which table of contents should it use? How is it to know? If the computer won't load a CD at all, well it surely can't be ripped. You just take your trusty regular CD player, plug its analogue line outputs into the line input of your trusty SoundBlaster card in the computer, fire up the trusty SoundBlaster recording applet, and record the CD. An hour or so later, you have a bunch of WAV files all ready for burning onto a CD-R or converting to MP3 format. Sure, the quality will not be quite as high as a digital rip, but it won't be bad either. Few listeners will even notice the difference. It isn't as convenient or as fast as a digital rip, but once the initial recording is made, CDs can be burnt for distribution to all and sundry. Anyway, you don't actually have to rip a CD to make a perfect digital copy. Does your computer's sound card have a digital input? Higher level Sound Blaster cards do. Does your CD player have a digital output? Plug one into the other and start recording. My own (rather expensive) Creamware Luna II sound card happily recorded the digital output of a Denon CD player with bit perfect accuracy. So the only drawback on this technique is the time it take: real, rather than one tenth the, time. Having established that workarounds do, in fact, work, there is still the issue of ripping in the first place. As a matter of principle, any system designed to restrict access to data can be beaten. The question is simply a matter of how much it costs to do it. Protections into consumer electronics tend to be relatively strong. Thus Macrovision copy protection has been fairly successful in VCRs, at least in stopping consumer-level copying. Breaking it has simply been a matter of using a video signal processing device which usually sells under the euphemism of 'Video Enhancer'. But this is a level of complexity with which consumers in general could not be bothered. A less successful example of consumer electronics control is the DVD player region coding scheme. That this is laughably ineffective is obvious to all but the film studios. Consumer-style controls simply do not work in computers which are, after all, programmable devices. It is inevitable that a hack will soon be found for copy protected CDs. But I didn't have to wait for that. What amazing piece of software allowed me to break the programming might of the recording industry? Well, the software is a free program called Exact Audio Copy (EAC). It is a CD Audio extraction program written by a German student who was dissatisfied with the quality of digital audio extraction of most existing programs. It is extremely configurable and offers several levels of extraction validation, repeated reading to correct errors and pin-pointing of where any un-correctable errors appear. It was somewhat surprising that extracting the audio from this CD should be possible using EAC. The version of EAC on my computers actually predates the various copy protection schemes (it is dated 27 June 2001). Early overseas copy protection schemes were especially irritating since they barred the CD from even playing in the computer drive. Given that some people rely on their computers for CD playback (an appalling concept, I know, to readers of this journal), this new CD adopts a different approach. It includes software for playing back the music on a computer. This seems to work before the computer realises that the disc is actually corrupt. Now, given the ability of most computers to record material that's being played back, this would seem to rather defeat the purpose. Well, not to worry: the music being played back is not the CD Audio at all, but duplicate tracks that appear to be encoded in Windows Media format. If you examine the CD with Windows Explorer, you will find a few executables, and a monstrous file so huge (800MB) that it could hold all the CD Audio data as well as the compressed audio. Compressed? Yes, it appears that Windows Media is used as the file format. Do not expect high fidelity playback from your computer: according the player's display, a bit rate of a mere 47kbps is used. This also seems to chop the high frequency response off rather sharply at around 10kHz, when played from the analogue outputs of my notebook computer. When the audio was intercepted internally (thanks to the highly configurable driver software of my computer's sound card), the amount of 10+kHz energy was largely restored, but was I suspect noise rather than actual signal. Still, at least the CD was playable. You place the CD into a drive, the player starts up and the music begins playing -- if your computer runs Windows, that is. Tough luck to Mackies. As it happens, the sound quality was very much better than I would have expected from a 47kbps bit rate, perhaps on a par with MP3 running around 96kbps. On the notebook computer, which runs Windows XP, when I tried to load the CD without it auto-starting (by holding down the left shift key as I loaded the CD), the computer merely underwent repeated conniptions, sending its read head to and fro, and would do nothing much until I took my finger off the shift key. Then it loaded the player program. When I fired up EAC on this computer (I had to allow the disc to run its player before the drive could even recognise the disc) it found all 14 tracks but, except for the last one, assessed each as being a mere ten seconds long, holding a mere 1.68 megabytes of audio data. Track 14 was 71 minutes and 45.3 seconds long, accounting for 724.28MB of data. There was also a 35-odd megabyte Track 15: the computer program and the compressed audio. This misreporting was clearly a reflection of the corrupted table of contents of the CD. But EAC has under its 'Action' menu an entry called 'Detect TOC Manually', at least when running under Windows XP. I stopped the disc's own player, selected this menu item, and waited. Less than 70 seconds elapsed while the computer scanned the relevant sections of the disc and found the correct track boundaries. Voila! Robbie was ready to make his transfer from disc to computer! At home, on both a Windows 98SE desk top box, and a Windows XP one, EAC loaded the disc perfectly without any need to access that menu item (which was absent on these installations). All track timings were accurate, and ripping was indeed perfect! The 98SE computer, as it happens, had taken a strong dislike to the Windows Media Player and refused to have anything to do with it (despite several clean re-installations of the operating system). On half a dozen occasions it refused to load the Robbie Williams music player at all, although it finally did quite unexpectedly. This disc incorporates Copy Control technology. This disc is designed to be compatible with CD audio players, DVD players and PCs with OS Windows 95, Pentium 2, 233Mhz, 64MB RAM or higher. This technology prevents the consumer from making digital copies. Well, the disc played fine in a DVD Recorder, three different CD players, and four different DVD players, including an elderly one that's usually quite touchy. Initially I thought it would not play in fifth DVD player, a Sony DVP-NS905V (which also plays SACDs), but it turned out, eventually, that it was merely taking an inordinately long time to load in this player: just a smidgen under a minute. So Robbie Williams does seem to be broadly compatible, but he doesn't seem to be particularly well protected. Perhaps its about time that record companies give up on trying to achieve the unachievable (copy protection of CDs), and focus on providing effective on-line audio purchasing models that just may kill much of the incentive for copying CDs in the first place. EMI, however, advises that it will be issue more 'copy protected' CDs in the future.